The MWC has just finished in Barcelona and it’s time to sum up the most exciting innovation that have been presented this year. You may ask. 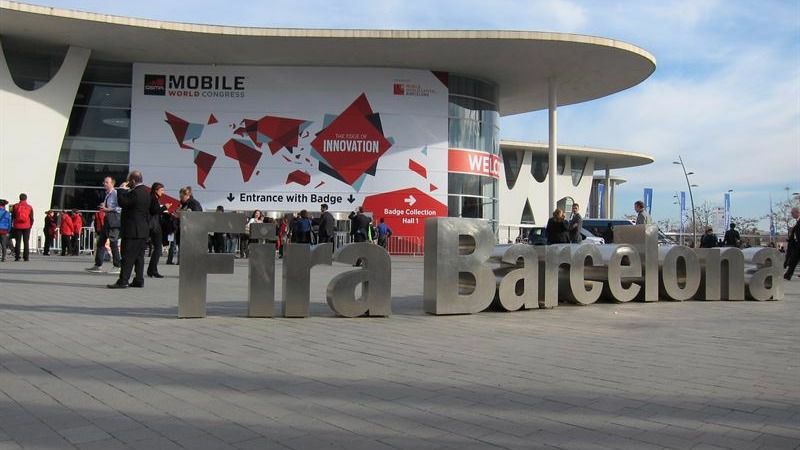 MWC stands for Mobile World Congress, an annual event in which the most important Android mobile manufacturers of the world converge to show off their new ideas and products. From February 26th until March 1st, big brands such as Samsung, Sony and the ever ascending Xiaomi took over the Fira Gran Via and Monjouic and welcomed technology enthusiasts from all over Europe, if not the entire world. Since its beginning, the Mobile World Congress – known as MWC – has been considered the top mobile fair in Europe, with a general attendance of almost 100.000 visitors in the last years. To attract all these people are the numerous conventions held by innovations gurus and the teasing releases of new products that most likely will end up in their private collection. Not only the general public raves in excitement, anticipating the annual event: big names and labels battle their way into the event and try their best to conquer their place in the MWC. Few names that have sponsored this year’s congress are Huawei, Android, PWC, the Spanish Telefonica and Sabadell, Microsoft and the king itself, Google. What was discussed at the Mobile World Congress this year 2018? Various subjects have been discussed, such as Artificial Intelligence, Digital Assistants, Virtual and Augmented Reality. But three topics united all brands attending the event: minimization of phones borders, introduction of 18:9 displays and the introduction of the 5G internet speed. What thrilled us the most at the WifiAway headquarters was the announcement of T-Mobile’s 5G network: LA, New York and Chicago are some of the cities in which the company plans to deploy its 5G mobile network in 2018. This is the promise made by Neville Ray, chief technology officer of T-Mobile. Although the promise, customers won’t be able to benefit from it until 2019, when the markets will provide the first 5G smartphones. In a few years, whenever 5G technology is deployed, we can expect speeds around 10 times faster, and lower latency (the time between the moment you click on a link on your phone, and the moment that information arrives to the Internet). More about the impact of 5G can be found in this link. Until then, you can enjoy a full 4G speed anywhere you go with our WifiAway’s Portable Wifi devices. Huawei MateBook X Pro: at this year’s MWC, the Chinese brand has unveiled the flagship of its notebook series. Among its new features, the Matebook Pro includes a wider and brighter display, more powerful performance and an interesting reposition of the integrated webcam, hidden in the keyboard. The brand has also developed the power of the battery, that now can last up to 12 hours while being connected to the Wi-Fi. If you’d like more info about Huawei Matebook X Pro you can watch this video. Vivo’s Apex Concept Phone: this is a phone that may never be released, but it has definitely attracted all the attention for being the phone of the future. We humble down in front of this device and let others describe it to you in this video so that you can too share our excitement. May the Wi-Fi be with you!